This awesome mask is made from hard plastic. 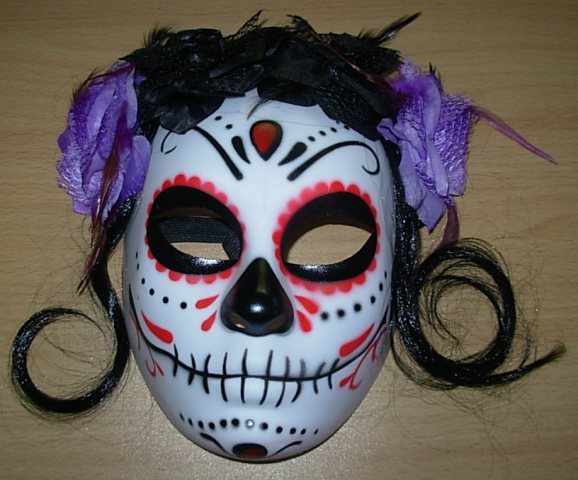 Printed with all the Day of the Dead style markings , it also has attached hair and black and mauve flowers. Fastens at the back of the head with elastic.